Denver has just two social pot club applications; Why? It might have $omething to do with the green. DENVER — More than a year and a half after Denver voters approved an ordinance to allow social pot consumption at businesses, only one business is operating. And even the owner says, it’s slower than she expected. 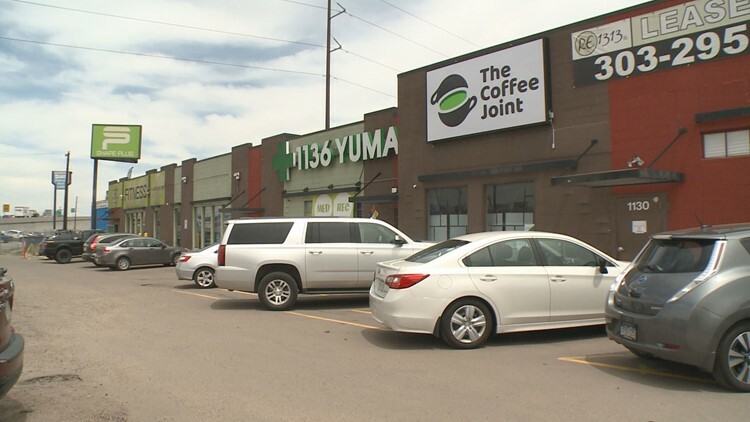 The Coffee Joint, located next to a dispensary, 1136 Yuma, opened on March 16. Tsalyuk owns the dispensary as well. This week, Denver leaders convened a task force to see why more businesses haven’t applied for licenses for social consumption. Besides The Coffee Joint, Denver’s excise and licensing department has received only one other application for a marijuana-based spa. Tsalyuk has a few theories about why more people aren’t applying. She says from the outside looking in, it appears it is difficult to make to make such a business profitable. As Tsalyuk is not allowed to sell marijuana at The Coffee Joint under the ordinance, she sells marijuana paraphernalia instead, along with snacks for the customers who come inside to consume cannabis. Customers are only allowed to vape and use edibles inside the shop, as smoking marijuana is outlawed by Colorado’s Clean Indoor Air Act. The coffee at The Coffee Joint comes from a Keurig machine, while Tsalyuk waits for a permit from the city’s health department to get what she needs to install a professional grade coffee maker. She also plans on adding a door between the dispensary and the coffee shop soon. “We just like to do it one step at a time so we can at least get something going,” she said. Colorado lawmakers passed a bill this session that would allow dispensaries to open tasting rooms so their clients could consume the product on site. It still awaits approval from Gov. John Hickenlooper. Tsalyuk said even if Hickenlooper signs the bill and it becomes law, she would keep her current configuration. “This is under different LLC and it is totally tax deductible,” she said. 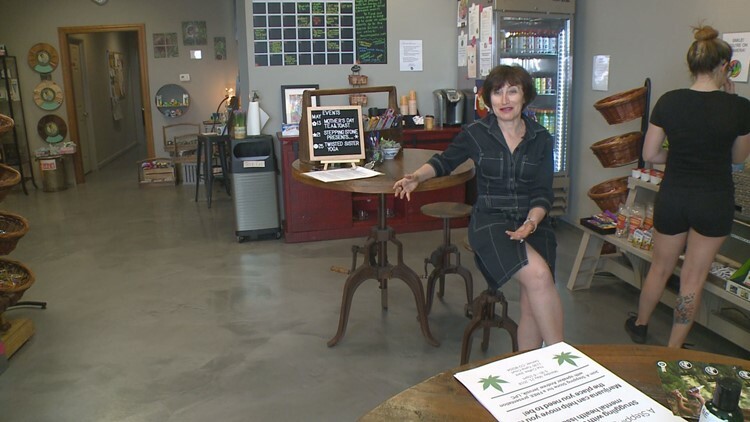 If she opened a tasting room, she said she couldn’t deduct her employees’ salaries or other business expenses from her federal taxes because marijuana is sold on site and the drug is still illegal under federal law. At a task force meeting on Thursday, many interested parties told city leaders distance setbacks on potential consumption businesses. It’s hard to find a location where a business can open with that is far enough away from schools and daycare centers. Stakeholders also told the task force that prohibitions on allowing social consumption at businesses that already have a liquor licenses are also slowing down interest in licenses. The task force will make recommendations to the city department in charge of the rules surrounding the ordinance, but the group has no binding power to change the rules. As for the pace of business at the Coffee Joint, Tsalyuk wonders if customers aren’t a little skiddish about trying it out if there aren’t any other businesses offering the same service yet. She expects business to grow as word of the coffee shop gets around.